Shopping while Black and pregnant is now an issue to be avoided by Black folks to prevent being flagged down for nothing. 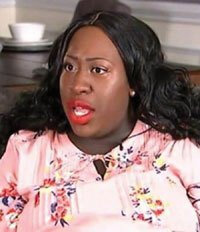 Well, that was the case of a pregnant Black woman who left a Staples in North Carolina baffled after she was accused of stealing. According to the woman, the store’s manager assumed Sherell Bates was hiding items under her shirt and therefore, asked a police officer to question her. Bates is expecting twins. The incident occurred Aug. 10 when Sherell Bates left home Friday to do some back-to-school shopping. What she didn’t know was that simply shopping would result in an embarrassing moment. After she arrived at the Staples, she picked up a few items and prepared to check out when a Pineville police officer approached her while she was in line. alerted to Bates by a manager, who claimed the mother-to-be was a possible shoplifter. To prove her innocence to the officer, Bates lifted her shirt a bit and exposed her pregnant belly, containing her twins. Bates then spoke with the manager. While Staples has apologized, Bates is seeking legal action. She is rightfully upset because she was made to feel as if her safety and privacy didn’t matter during the incident and went ahead exposing her growing belly.